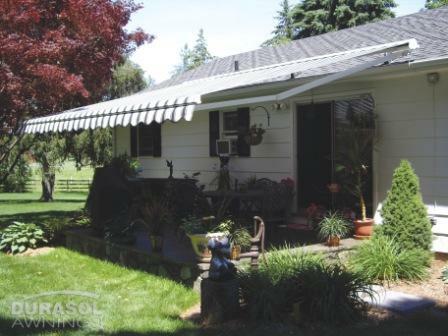 WINDOW AWNINGS offer you an elegant and practical way to protect your home from the sun's harmful rays. 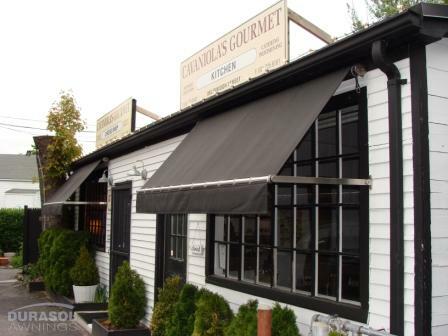 Custom-made and professionally installed, our comprehensive line of window awnings offer you the control you need to maximize your indoor comfort and control cooling costs, while adding architectural interest to your home or business. Alexander Custom Screens chooses SunGuard® window awnings for the unsurpassed style, function, simplicity, and quality of their awingins. 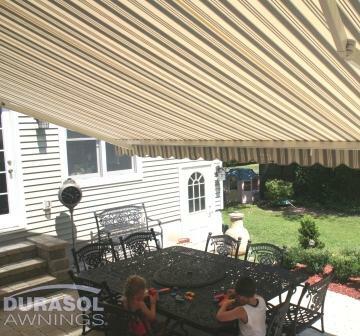 SunCassette Bella is Durasol's flagship retractable cassette awning. 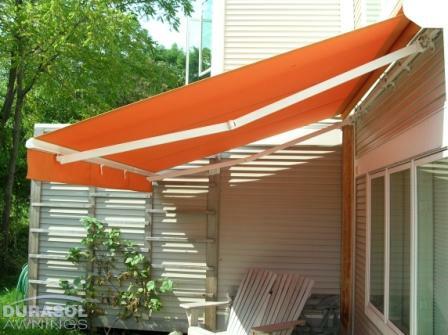 This extraordinary awning incorporates a patented tipping system, allowing the awning to extend straight out, then tip down to attain up to a 55º pitch. The Bella is a practical yet elegant addition that will last for years. 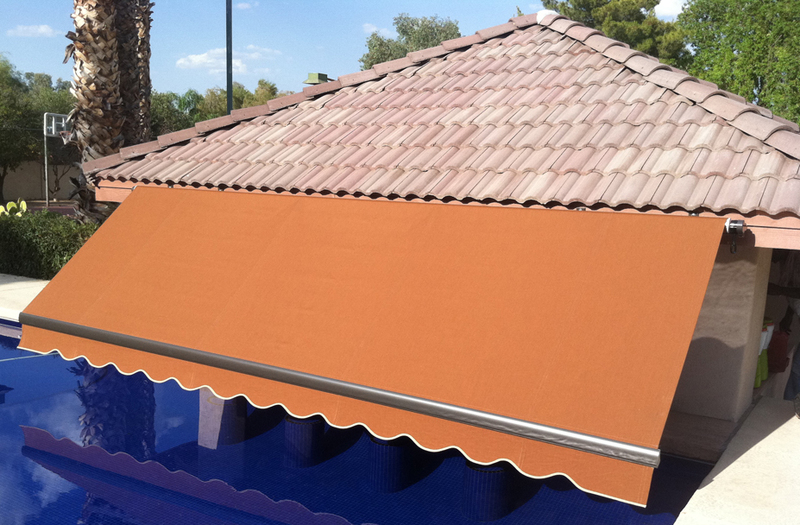 SunShelter® Elite Plus is an adjustable retractable awning system that allows you to fine tune your sun protection. The optional "R-Pitch" adjustable shoulder with its patented swivel wrist allows you to drop each corner independently with a simple eyelet and manual hand crank system. SunShelter® Regal The SunShelter® Regal is Durasol's most affordable custom made awning, where style meets function. Adding charm and value, the Regal complements the exterior of any home. SunShelter® Triumph is Durasol's heavy duty retractable shading solution and the optimal awning when longer projections are needed. SunCassette Carina is designed for durability and longevity. The specially designed hood encapsulates the entire fabric body to give a stylish look that protects the fabric cover from nature's aging process when retracted. SunGuard® Steelox is a retractable window awning with contemporary flair and satin stainless steel components which complement applications where modern architectural designs and materials have been utilized. 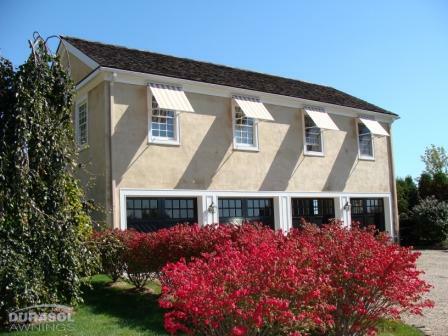 SunGuard® Topaz is perfect for windows up to 16' wide. When retracted, the sleek design of the cassette enables the front bar to fit snug with the rest of the unit for a sleek, compact appearance.